Timothy Murphy was a badass American soldier. That’s true whether he actually did the legendary deed for which he’s famous or not. Consider this: Murphy fought through the American Revolution from the commencement of armed hostilities in 1775 to the surrender of Lord Cornwallis at Yorktown in 1781. He crossed the Delaware in December 1776 in George Washington’s desperate throw of the dice at Trenton, and he was one of Col. Daniel Morgan’s Chosen Men wielding a deadly rifle at at Saratoga. He suffered through the long, dark winter of 1777-78 at Valley Forge. And he served as a ranger on the bloody New York frontier — where he saved a fort, torched Seneca towns, married a Dutch girl … and eventually settled down. It’s as remarkable a service record as can be found in all American history. The New York and Pennsylvania frontier was bleeding and burning in 1778. British Rangers, Seneca warriors and Loyalist volunteers and Mohawk fighters led by Joseph Brant ravaged the region seemingly at will. On July 3, 1778, Maj. John Butler’s Loyalist Rangers and Seneca auxiliaries inflicted a bloody defeat on American militia in Pennsylvania’s Wyoming Valley, taking some 227 scalps. Raiders burned farms and mills, destroying crops, stealing livestock, taking captives and killing settlers and the militiamen who were supposed to protect them. The river valleys that fed into the great west/east-running Mohawk Valley was the breadbasket that fed General George Washington Continental Army, and he could ill afford to see it depopulated and devastated by Indian and Loyalist raiders. He sent a contingent of riflemen to defend the frontiers. Murphy and his battle buddy David Elerson were among them. The two men quickly gained a reputation for aggressive patrolling. Some of Murphy’s patrolling served a marital rather than a martial mission. On the sly, he courted a young woman named Margaret Feeck — called Peggy — the daughter of a Hudson Valley Dutch farmer, and the two were married. 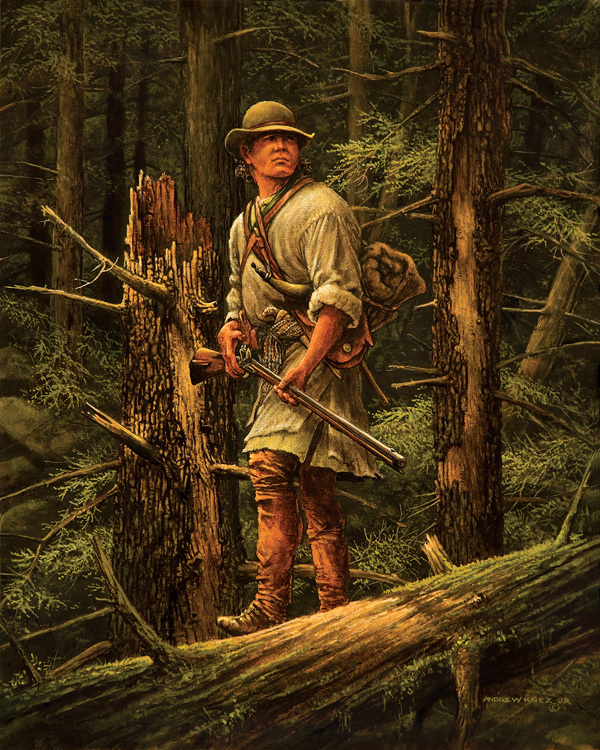 Rifleman by Andrew Knez, Jr.
A dirtier mission ended in the death of a loyalist agent in the Schoharie Valley. The old, triumphalist histories of the New York frontier paint the “Tories” in the blackest of lights. They were, after all, the enemies of Truth, Justice and the American Way, and abetted “savages” in their massacres, right? A more dispassionate view recognizes that the Loyalists simply had a different conception of the nature of American liberty and how best to pursue it. From their point of view, the Crown was not an oppressor — but self-appointed rebel Committees of Public Safety were. 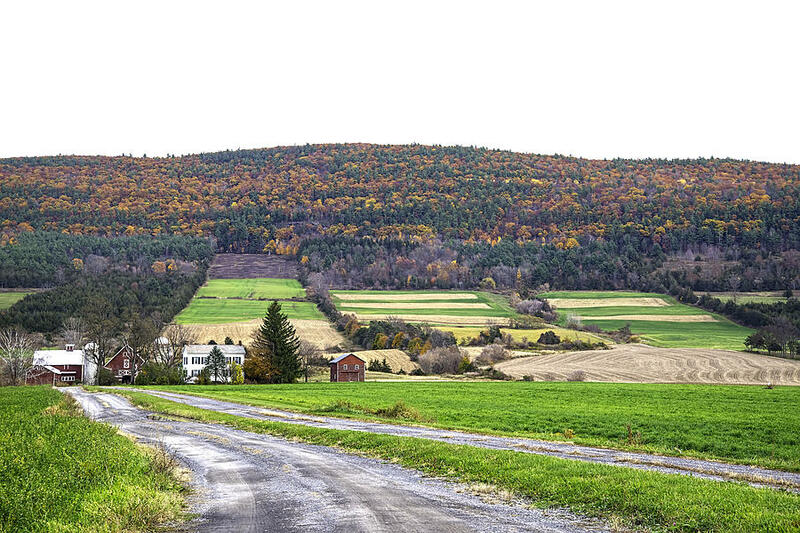 The beautiful Schoharie Valley. A Revolutionary War battleground. Christopher Service is often portrayed as a dastardly Tory who “terrorized” his neighbors. That’s a little over the top. He acted as a kind of safe-house for those of Loyalist sympathies and provided shelter and victuals for raiders passing through rebel-held territory. A bad actor, perhaps, from the Patriot point of view, but hardly a terrorist. Had this been the Russian Civil War, the mere suspicion of enemy sympathies would have earned him execution — probably along with his entire family and all his friends. The civil war on the New York frontier — nasty as it was — was not brutish in that degree. Sometimes Loyalists were hanged, but usually they were either jailed or merely watched closely by their neighbors. Service could hardly have been too much of a terror, for he was at liberty for a good three years before Tim Murphy and Dave Elerson were sent out to his farm to arrest him. According to Schoharie Valley chronicler Jeptha Simms, Service made the mistake of calling the riflemen “damned rebels” and taking a swing at Murphy with an ax. Elerson urged Murphy to “shoot the damned rascal”; Service’s wife entreated Murphy not to do so. The rifleman reportedly patted the woman on the shoulder and said, “Mother, he shall never sleep with you again,” then shot the Tory agent through the heart. Murphy and Elerson participated in General John Sullivan’s 1779 punitive expedition deep into Iroquoia, an expedition that gave back what the Mohawk Valley had been getting. Town after town, orchard after orchard, grain field after grain field were put to the torch. The British and the Iroquois were, for the most part, forced to evade engagement with the powerful American force. When they tried to ambush the expedition at Newtown, Morgan’s Riflemen, Murphy among them, detected the ambush and their action allowed Sullivan’s force to flank the ambushers and inflict a stinging defeat. Murphy shot his way out of another ambush at Genosa (aka Genesse Castle), where his commanding officer Lt. Thomas Boyd, another rifleman and an American-allied Oneida scout were captured. The Oneida was chopped to bits on the spot by enraged Seneca, and Boyd and his comrade were taken back to a Seneca town where they were gruesomely tortured to death, their heads mounted on poles as a warning and taunt to Sullivan. Despite some losses, the Sullivan Expedition was the longest and perhaps the most well-executed campaigns of the war by Continental forces, and it put the hurt on the Seneca in particular. Historians differ on the strategic value of the campaign. 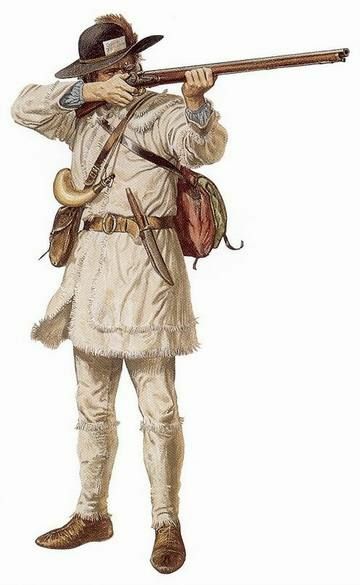 While Sullivan certainly caused significant pain and disruption to the enemy, he did not break them, and there’s an argument to be made that the punishment actually drove the Iroquois more desperately and ardently into the British camp. Indisputably, the next year, the Iroquois and the British hit the frontier valleys of New York with increased fury. 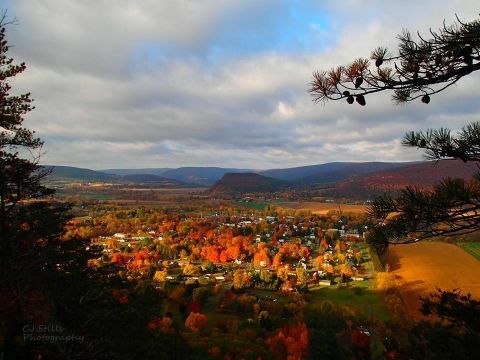 In 1780, Murphy had settled with Peggy in the beautiful Schoharie Valley, watered by a creek that ran south to north and fed into the Mohawk River. His enlistment had run out, but he continued to serve in the local militia, stationed at Middle Fort — one of three that guarded the Valley. When Sir John Johnson launched his second deep penetration raid of the year, he chose to run down the Schoharie Valley — right into the rifle sights of Timothy Murphy. Johnson’s raiding force numbered a little shy of 1,000, comprised of Butler’s Rangers, Kings Royal Regiment (Yorkers), British Regulars of the 8th Regiment of Foot, Joseph Brant’s mixed Loyalist and Mohawk Volunteers and a cadre of Seneca and other Iroquois warriors. After an arduous and hungry march, they hit the Schoharie Valley in mid-October 1780, bypassing the Upper Fort, burning barns and granaries. Warning cannon shots echoed down the creek, where the forts were just a few miles apart — but the pall of smoke that marked the passage of the raiders was signal enough that trouble had come to the Schoharie Valley. Major Thomas Eckerson called for volunteers from Middle Fort to scout out the progress of the enemy and — of course — Tim Murphy stepped up. The day being exceedingly windy, the men left their hats behind and tied kerchiefs over their heads. (Funny the details that get recorded in such circumstances). Obviously, the inept artillery wasn’t going to reduce the works, so Johnson sent out Captain Andrew Thompson of Butler’s Rangers under a flag of truce to negotiate the surrender of Middle Fort. Thompson’s truce detail advanced, with a fifer ironically tootling “Yankee Doodle.” A rifle shot snapped over their heads, and the detail backed off. They advanced again and again a rifle ball greeted their entreaties. The fire came from Tim Murphy. Middle Fort in the Schoharie Valley. Middle Fort’s commander, the portentously named Major Melancthon Woolsey wanted to admit the truce party and hear terms of surrender. While the British artillery had done no harm, the fort was desperately low on gunpowder, and Woolsey feared that it could not withstand a concerted effort to storm the works. And if the fort was stormed, there might well be a massacre of the garrison and its dependents. It was an inglorious but not unreasonable assessment. However Tim Murphy wasn’t having it, and Elerson and other riflemen had his back. The second or third time Murphy’s rifle spoke, Major Woolsey demanded the identity of the shooter who was violating the rules of warfare. Murphy stepped forward and allegedly told the commander that he’d sooner send a ball through the Major’s heart than see the British flag of truce enter the fort. Woolsey ordered his arrest, but Murphy and his comrades refused to allow it. Woolsey then retreated into the powder magazine of the fort and abdicated command to a junior officer. 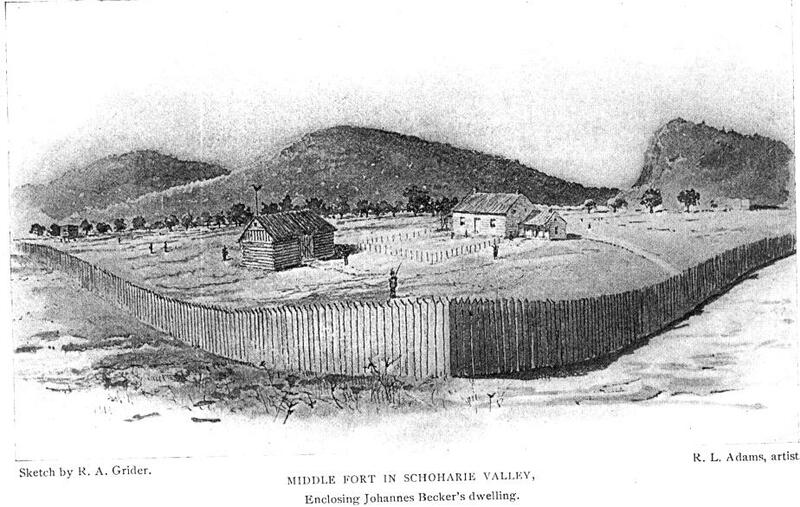 The fort held out and Johnson’s force moved on down the Schoharie and then cut west along the Mohawk River. After a sharp fight at Klock’s Field, the raiders left the burned out valleys. But assessing winners and losers is almost beside the point. To paraphrase the Prayer to Crom, what matters is that few stood against many, and that a man’s act of defiance held true. After serving at Yorktown under General Mad Anthony Wayne, Murphy returned to settle in the Schoharie Valley he had fought to defend. He farmed, ran a grist mill and sired five sons and four daughters with the redoubtable Peggy. She died in 1807, and he remarried to a Mary Robertson, with whom he had four more sons. The great Frontier Partisan warrior died in 1818, full of honors. Posts on this type of topic call to mind John Keegan’s “Fields of Battle” on the wars for North America. It really brought home how important the NYC to Montreal corridor was historically. I haven’t read that book for decades-but I may have to try and find it. Redirecting our attention from the Civil War to the real conflict that consolidated the United States, Cohen describes how five groups— the British, French, Americans, Canadians, and Indians—fought over the key to the North American continent: the corridor running from Albany to Montreal, known to Native Americans as the “Great Warpath.” He explores how a distinctly American approach to war developed along these 200 miles, reintroducing characters we thought we knew—an admirable Benedict Arnold, a traitorous Ethan Allen, and a devious George Washington. A gripping read grounded in serious scholarship, Conquered into Liberty will enchant readers for decades to come. In line with John M. Roberts’ comment on the pronunciation of “Service,” the serviceberry tree, so named because it blooms around the Easter (services), is called the “sarvicebery” in the Ozarks. Jim, I’m amazed how you always come up with subject matter I’m reading or re-reading at home and can bring new tidbits of history to the forefront of that subject. Also I’d strongly recommend Bloody Mohawk by Richard Berleth to evreryone. Thank you Eric. I heartily second the motion on Bloody Mohawk. I just replaced my lost copy and am reminded again of how good it is. Married a Dutch girl and then a Robertson……dude knew what he was doing ! Ever get any postcards ? Send you a Dutch one (thru the office). kids of the men who fought in “the Battle” of Arnhem. Did that snail mail thing. (and nominating Gen.James Gavin) heh heh ! Our PO here is such a mess, it may yet arrive. Do appreciate the thought.